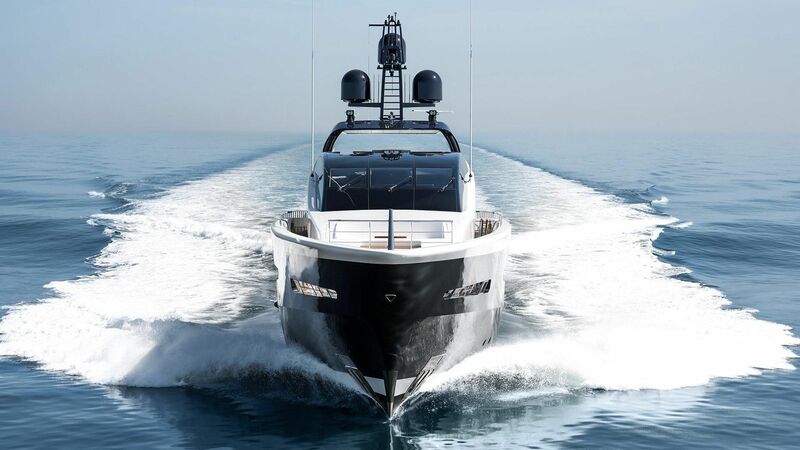 Irisha is a 51-metre semi-displacement custom motor yacht with an impressive top speed of 25 knots. 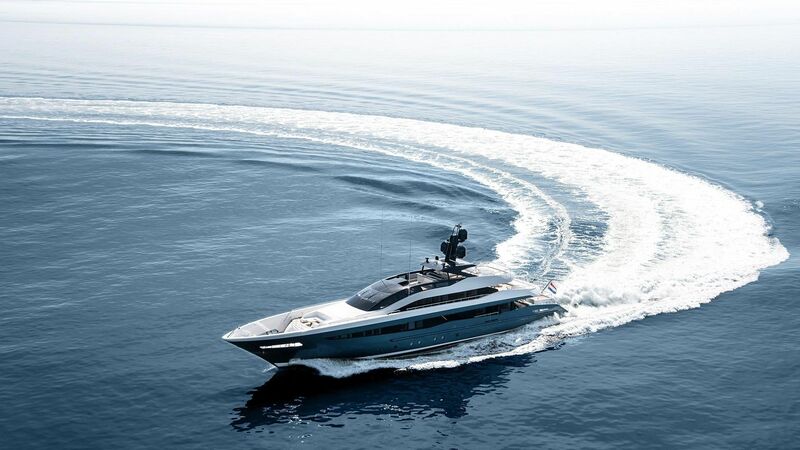 Her exterior lines, designed by British studio Harrison Eidsgaard, are founded on the successful engineering platform of Heesen’s award-winning 5000 Aluminium class. 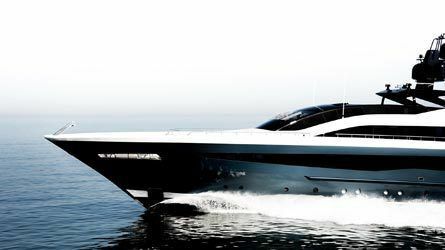 Driven by the owner’s desire for something “fairly aggressive and dynamic”, the radical design gives her a distinctive edge on the water. Technically challenging from both a design and construction point of view, the curved glass sheets used for her iconic raised wheelhouse are among the largest produced in Europe. 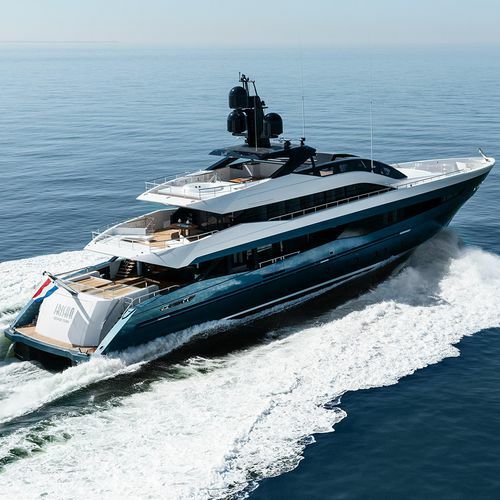 Forward on the main deck, a built-in settee is protected by a hydraulically driven canopy that creates a wind-sheltered outdoor space ideal for relaxing in privacy. More forward, in the bow a second seating area protected from the wind is the ideal place for admiring the views when underway.